The Marianas Visitors Authority on Dec. 6 announced that Chinese travel website Mafengwo in its 2018 memo for South Pacific island destinations ranked Saipan as the most popular Pacific island destination among Chinese tourists. The website, composed of reviews and recommendations by free and independent travelers, named Grotto and Mañagaha Island as the most famous sites in Saipan. Guam, Palau, Fiji and Tahiti rounded out Mafengwo’s top five destinations. Touring businesses in the Northern Mariana islands attended the China International Tourism Mart in Shanghai from Nov. 16 to Nov. 18 together with other travel industry professionals in the Asian region. Brighten Travel, Century Tours, Zhejiang New World, Top Development Inc., Qulv and SPITS were joined by the Marianas Visitors Authority to take part in the annual event, meeting potential travel partners in mainland China to promote tourism for the Northern Mariana Islands following Super Typhoon Yutu’s impact. Shipping company APL has joined the United for Wildlife Transport Task Force to further assert its commitment to combat illegal wildlife trade. As a signatory of the task force, APL will ensure prohibition of the illegal transportation of wildlife as well as discourage and educate its stakeholders not to deal with these animals and their products, according a Dec. 6 APL release. APL currently has policy prohibiting the transportation of shark fins, dolphins, whales, elephant tusks and rhinoceros and antelope horns. World Theater Productions and Step Up Entertainment brought the award-winning musical Rent to Guam, featuring local and internationally-renown actors to perform five shows at SandCastle on Nov. 28 and Dec. 1. Filipino actor Benjamin “Jojo” Urquico directed Rent Guam and the cast included visiting actors Ima Castro, István Csiszár and E.G. Arganza, according to a news release from World Theater Productions. Local actors included Stephen John Ramirez, Krystal Paco, Ysa Mercado, Marianna Hernandez, Travis Aguon, Raymond Mathews, JMartin Castro, Fantaysha Rioja and Tyler Matanane. Rent was written by Jonathan Larson and tells the tale of individuals living with HIV/AIDS. MileagePlus, United Airlines’ frequent flyer loyalty program, was recently awarded the 2018 Frequent Travel Titan Award and named the leading and most innovative loyalty program in the Americas, according to a Dec. 5 United release. United’s loyalty program allows customers to earn points through flights, which can be traded for flight miles, accessories and discounts with United’s partners. In the past year, the MileagePlus program has launched its Explorer Card, allowed use of earned airline miles to purchase fuel and created a new boarding process in the form of Premier 1K and Premier Gold, the release stated. The University of Guam’s Isla Center for the Arts opened its biennial juried exhibition, Creative Hands: Selected Works by Pacific Artists on Dec. 6, featuring 26 works from 15 artists. The exhibit is expected to remain open until Jan. 18. The University of California, Los Angeles professor Nancy Mithlo, a curator veteran, chose the selection from 118 submissions. Selected artworks were from Ron Canos, Julius Sotomayor Cena, Jeanie DeCandia, John Dierking, Judy Flores, Linda Frank, Olga Guse, Dorathina Herrero, Sarah Johnson, Tiger Kim, Alexa Kyung Lim, Richard Manglona, Rich Olmo, Robin Olmo and Dawn Lees Reyes, according to a UOG release. Atkins Kroll Inc. on Nov. 26 announced the launch of its 13th annual Toyota Dream Car Art Contest, which encourages children between the ages of 5 and 15 to submit their drawing of their ideal vehicle. The contest is divided into three categories: Under seven years old, 8 to 11 years old and 12 to 15 years old. Drawings are to be done on 11-inch by 17-inch paper with a 5-millimeter thickness limit. Students from Guam and the Northern Mariana Islands can submit their artwork to the AK dealerships on Guam and Saipan by Feb. 16, 2019. The Marianas Visitors Authority commissioned a designer in Germany to paint a detailed three-dimensional map of Saipan using data from the National Oceanic and Atmospheric Administration. The painting is part of MVA’s destination enhancement program. It contains locations of hotels, popular tourist spots and other notable places of interest on the island so that visitors can see where they will be going. The agency presented the painting on Dec. 12 and expects to transfer it to the Francisco C. Ada Saipan International Airport for display. 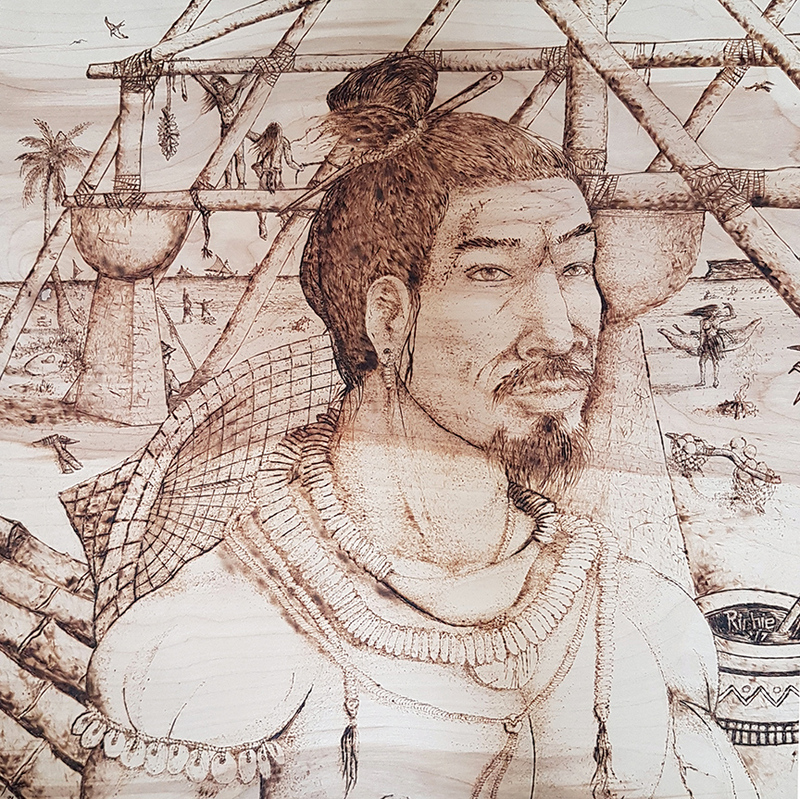 In an effort to perpetuate the culture and history of the people of Micronesia, online educational resource Guampedia has created a side-by-side timeline detailing important events in Micronesian history while mainstream historic events around the world took place. The timeline starts in 2500 BC, around the time when the ancient Egyptians built the Sphinx, and contains 184 items up to the Guam Museum’s opening of its permanent exhibit. The timeline is expected to be updated as more information on history is found, according to Guampedia’s Dec. 19 news release. 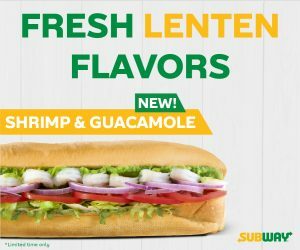 The timeline can be viewed at guampedia.com/guampedias-historical-timeline. (From left) Min Chen, intern; Hillary Agulto, marketing manager, both with the Marianas Visitors Authority; Yorko Summer, ambassador, Marianas Ocean Tourism; Judy Torres, deputy managing director; Milane Tsai, Taiwan in-country manager; Demalynn Pagarao, community projects coordinator; and Steven Chang, Taiwan public relations representative, all with MVA. The group is pictured at the MVA both during the Taipei International Travel Fair. The Marianas Visitors Authority once again participated in the Taipei International Travel Fair from Nov. 23 to Nov. 26, a month after Super Typhoon Yutu pummeled the Northern Mariana Islands. Despite hardships from the storm, MVA wanted to reassure its Taiwan counterparts that the NMI remains a popular Pacific island destination for Asian tourists, according to a Dec. 6 release from the tourism agency. 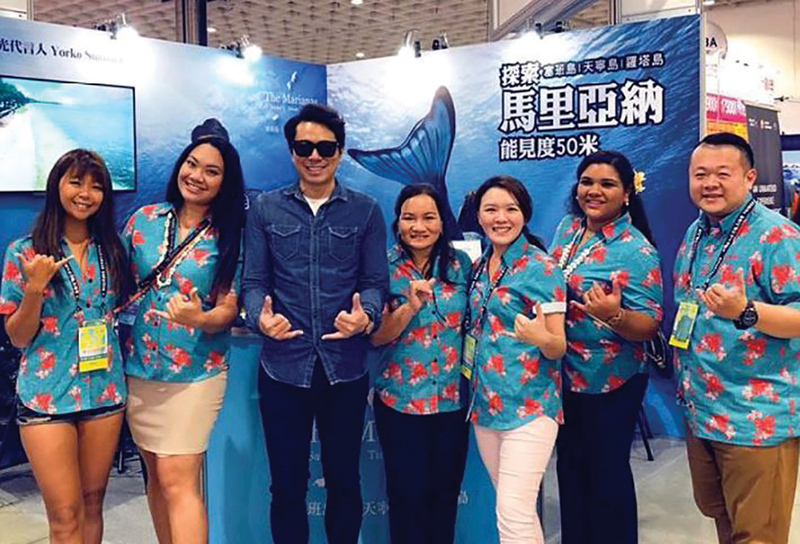 A team of MVA staff had the opportunity to set up a booth at Nangang Exhibition Hall to promote the islands as well as meet with charter airline representatives and travel agents. (From left) Valeria Shapovalova, Instagram blogger; Alena Filimonova, representative, Marianas Visitors Authority’s Russia public relations, and manager, Travel Trader; Mercedes Taisacan, owner, Rota Cave Museum; Olga Kuskova, travel journalist; Rizza Janairo, social media marketing specialist, MVA; and Yuriy Smityuk, photographer. The group visited the museum on Oct. 19 during a familiarization tour. Just days before Super Typhoon Yutu made landfall in the Marianas, the Marianas Visitors Authority and Jeju Airlines from Oct. 17 to Oct. 21 had the opportunity to host a group of Russian travel bloggers to showcase what the Northern Mariana Islands had to offer to Russian tourists. The group, which consisted of a social media blogger, a travel writer, a photographer and MVA staff, toured Tinian, Rota and Saipan to scout for resorts and activities that would appeal best to the Russia market. 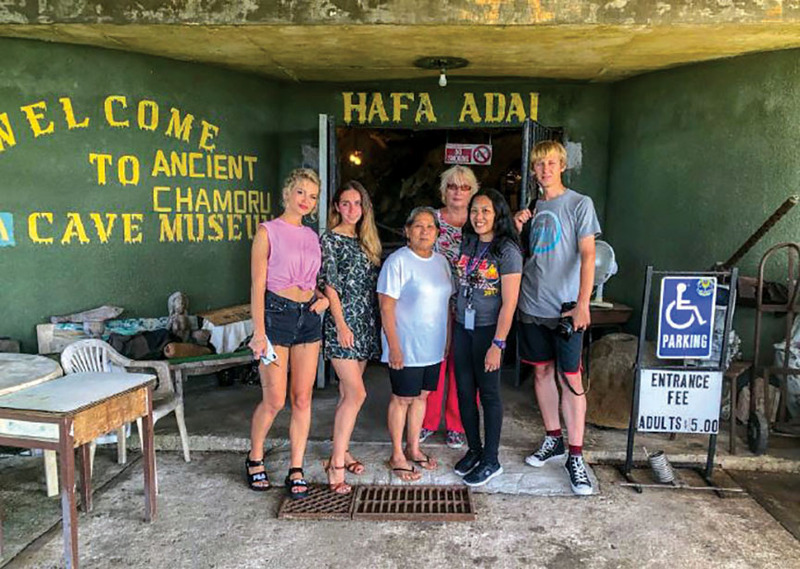 The Russian bloggers visited popular tourist sites on the islands including the Northern Mariana Islands Museum of History and Culture, the American Memorial Park, Mañagaha Island and the House of Taga, according to a Nov. 6 MVA news release. Travel agencies PrimClub, Laguna and Biletur also participated in the tour. Photo courtesy of Atkins Kroll Inc.
Atkins Kroll Inc. on Dec. 15 introduced the redesigned 2019 Toyota RAV4, the model’s fifth generation of urban and off-road driving. 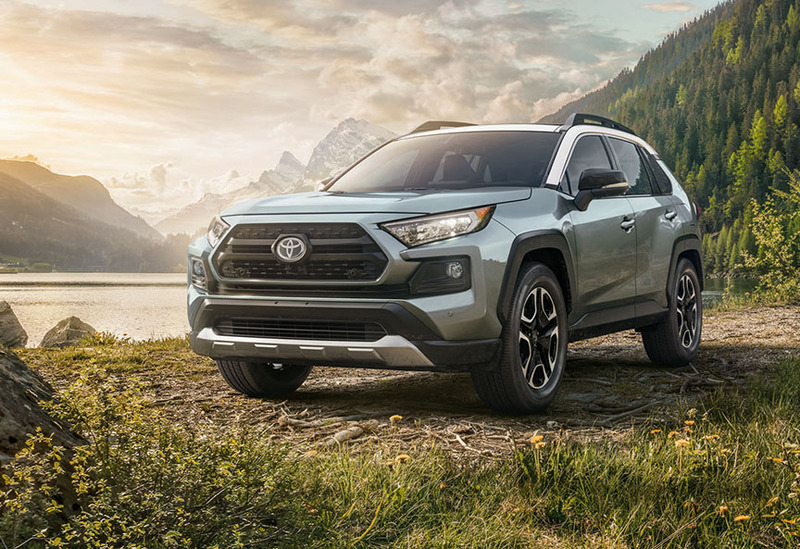 New designs and features of the 2019 RAV4 include improved handling stability, Dynamic Torque Vectoring all-wheel drive, increased visibility with its front window, side mirrors and rearview mirrors and improved fuel efficiency, according to a release from AK.